Cooking at Café D: Waiter Receives $1,100 Tip. Nope, Not a Mistake. A Kansas City server - med student, single father - recently received a $1,100 tip. The Peachtree Restaurant describes itself as Soul Food with elegance. While the server describes himself as so happy he could break down in tears. He didn't get a chance to thank the couple who left the tip. But, he hopes they know how much it means to him. 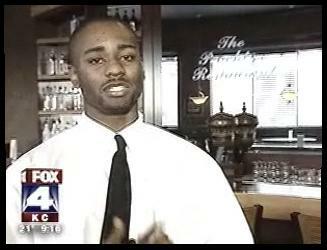 You can see the video of the Fox 4 news report here.